"Dancing with the Stars" heads into the semifinals next week, but they will take place with one less celebrity contender. 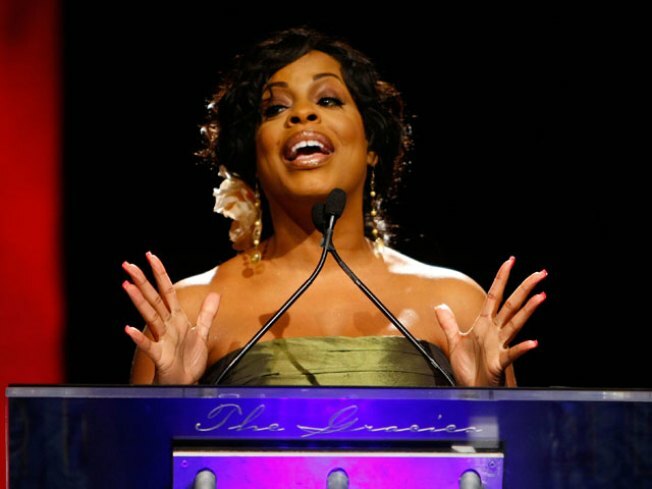 Niecy Nash won't be continuing on in the competition after being eliminated on Tuesday night, taking professional partner Louis van Amstel with her. The former "Reno 911" star and all around funny lady shared the bottom 2 with Bengals star Chad Ochocinco, but the athlete and his partner, Cheryl Burke, managed to make it through to next week when they will compete against Nicole Scherzinger and Derek Hough, Erin Andrews and Maksim Chmerkovskiy, and Evan Lysacek and Anna Trebunskaya. Despite her elimination from the show, Niecy said she was thrilled she made it through eight weeks of competition. "I am a 40-year-old mother of three. I've got three C-sections under my belt and I… I was able to survive in this competition this long?… I've been able to be one of the last women standing in this competition. I've had such a fantastic time being able to live out my dream… I'm a happy girl." Niecy also offered praise for her partner, Louis. "Thank you for molding this lump of clay into something," she said.